Finished the Buff Bones® Instructor Training? See movement, yourself, your clients in a new way? Great. Keep it up! Buff Bones® Membership gives you the support to continue on your new path after taking the Instructor Training course. Gain insights, education, inspiration and a global network to maintain that fresh, new perspective. 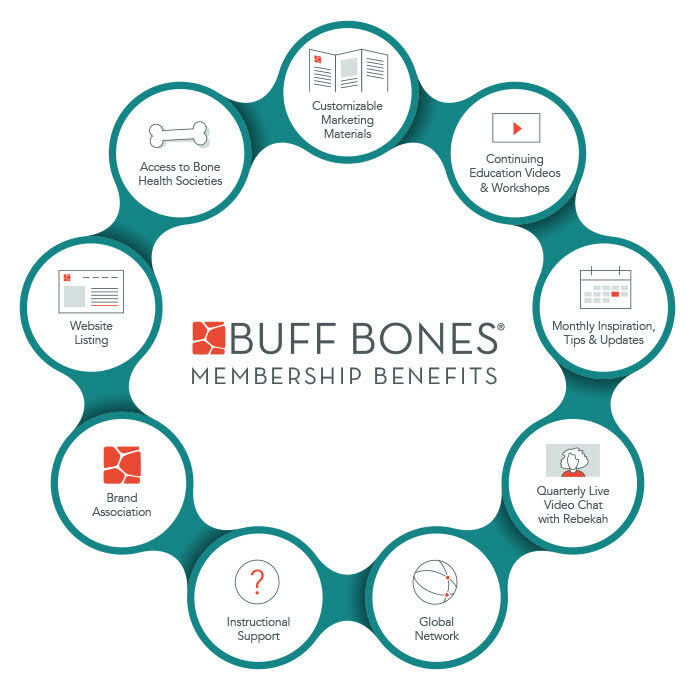 Your first year of membership is included in the price of the LIVE Buff Bones® Instructor Training course. If you take the ONLINE course, you may opt to purchase the membership for USD$150. You must do so within 60 days of Buff Bones® notification to you of completion of the course.